One of the more delightful experiences on my Mandarin study journey are the reactions I get from people. Despite being spoken natively by over a billion people, Mandarin is a very hard language to learn. That’s why Chinese – not all, but most – get very happy to hear foreigners speak it, no matter how little or how badly. Sometimes it really just takes a “Nĭ hăo” (Hello) to elicit a thoroughly well-intended “You speak Chinese very well.” Such reactions are ridiculous in their judgement, yet endearing in their intention. The origin of this expression is linked to traditional Chinese Confucianism, where being modest and not revealing your strengths is seen as a good personal trait. So no matter if in a cab, at a coffee shop, or with security guards on the street – sometimes even the slightest display of your Mandarin skills can conjure up a smile on locals’ faces. 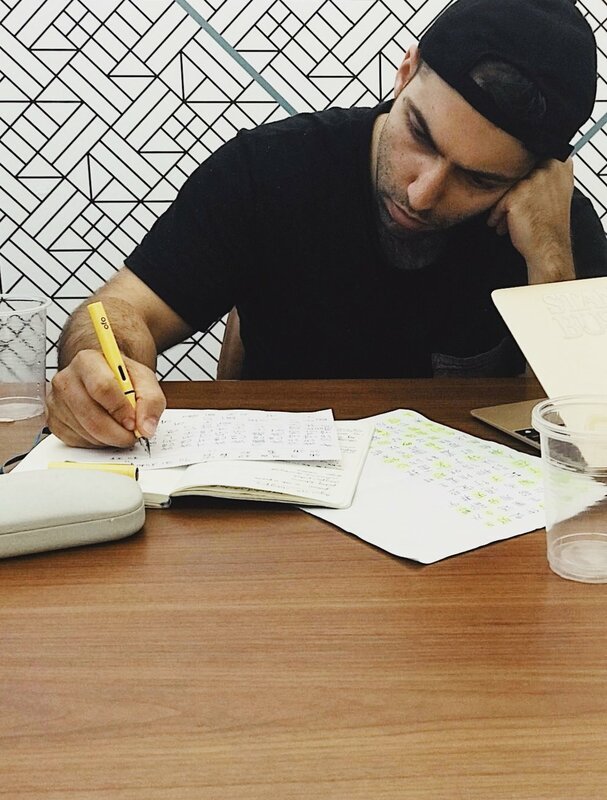 — A colleague took this pic of me at our team meeting today. We had switched the language to Chinese to accommodate for our non-English speaking staff, so I lost myself in studying characters while everything was being translated. Book Recommendation: Ben Rhodes' "The World As It Is"
Ben Rhodes is a former White House staff member who – at the age of 30 – served as the Deputy National Security Advisor and speechwriter for Barack Obama. 1) Ben joined the Obama presidential campaign in 2007 at the age of 30. He very soon worked himself up to becoming his speechwriter and National Security Advisor – basically spending all of his 30s with Obama in the White House. His very young age allowed him to bring a fresh perspective to the table – one that often challenged status-quo thinking. He earned Obama's trust over the years and was eventually appointed to being the key negotiator of the successful Cuba thaw in 2014. 2) The Obama presidency of 2008-2016, and the political decisions that were made during that time, has truly shaped the world as we know it today. Ben's memoir is a very candid recap of the inner workings of the Obama White House, one that helps understand the "whys" behind the "whats" that we witnessed from the outside. From the successful take down of Bin Laden to the inaction towards Syria. The book helps put all these events into context of the values that the White House applied to its decision-making. 3) Last but not least, reading the memoir in the context of today's administration, only makes you appreciate more the integrity, candor, and thoughtfulness that Obama brought to the job as president. The book evokes nostalgia, reminiscence, and a sense of gratitude towards the White House as we knew it. There were two lines/quotes in this book that really helped me zoom out and see things in perspective. One was a quote by MLK which was "The arc of the moral universe is long, but it bends toward justice," the other was a statement by Obama in which he highlighted that progress is not a linear line, but it zigs and zags. Whenever I see a toddler in China, the odds of seeing them in company of one of their grandparents are super high – around 80%. I became curious and started digging into this, trying to understand both the factors and the implications of this. First of all, it’s the early retirement age (60 for men, and even younger for women), which makes grandparents more available time-wise. 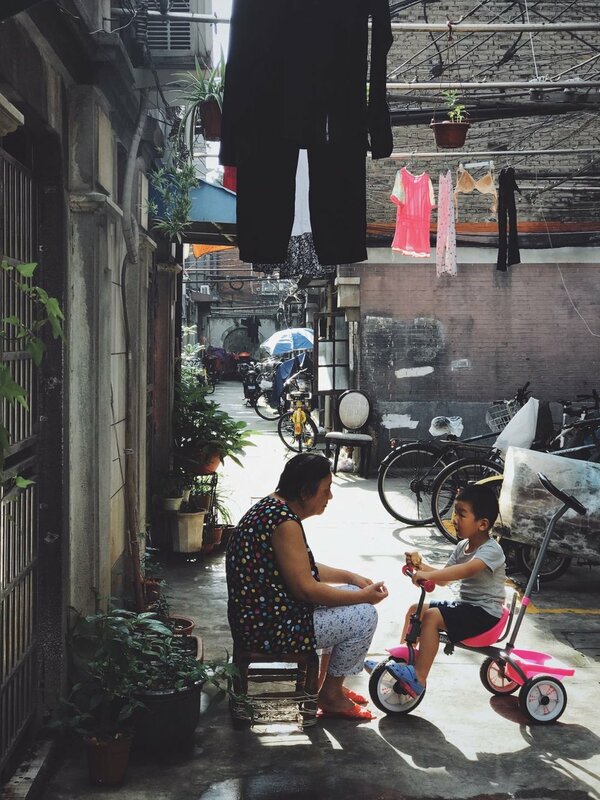 Second, it’s the pull of traditional culture in China where people have a long history of living with their elders and having grandparents participate in childrearing. To help the older generation cope with raising small children, “grandparent schools” have popped up all over China. Grandparents study everything from “how to stand up to your whining grandchild” to understanding popular Internet technology. At parenting schools in Guangzhou and Shanghai, 80 percent of the pupils aren’t parents at all, they’re grandparents. But it seems to me that the biggest factor driving this is the need for parents to pursue work – either because of financial needs, or simply to build a career. According to estimates, there are currently 60 million children “left behind” by their parents – children who live with their grandparents and other relatives in rural areas while their parents go off to more affluent cities to work (there is a really good drama/documentary on this called “Last Train Home” https://youtu.be/cKAVPfI_8MU). Yet there is also parents for whom leaving behind their children with the grandparents is an opportunity to increasingly focus on their professional lives. I myself have numerous friends who live and work abroad while the children are back in China with the grandparents. While I was shocked at first, over time I learned to put it into a larger cultural context. And if you look at the gender distribution numbers in China, you can’t help but wonder how much the support of the grandparents helps for career progression: 51 percent of senior management positions are held by women, half of the world's female self-made billionaires are from China, and women in China contribute half of the household income. I remember when I told my colleagues at work that I would leave Google to pursue an MBA, people shared my happiness, but they were also surprised. Given the hands-on, creative, entrepreneurial image they had of me, they always imagined – almost expected – that I would leave the corporate life for the garage life, to start my own company. Yet that path was not any consideration for me at that time. I strongly believe in the notion of experiential readiness. Entrepreneurship has been and still is a very hot topic. It’s a popular thing to do. After hearing all the “dropped out of college and then started a successful company” stories, it’s just so natural to imagine yourself doing the same. But do you really have the right experience to do so? When college students ask me whether they should go an start a company straight out of college, I advise against it. I strongly believe there is a lot to be gained and learned in working in the corporate world for a few years. You learn about organizational structures, incentive systems, management styles, company goals, resource allocation decisions, as well as all its daily challenges around bureaucracy and politics. Not always fun experiences, but insanely valuable ones. These experiences are important for when you are actually starting your own company. The more you know, the less likely you are to make wrong decisions that could kill your company. There is plenty of studies that suggest that those who are successful founders are not straight out of college, but on average in their 40s (Harvard Business Review claims its 45 years). You could argue this is because they have a better network or are more credible when they go fundraising. While I think those are valid arguments, I believe that at its core it’s their experience that makes them more likely to succeed. There is a second type of readiness which is motivational readiness. Speaking from my own experience, I was not ready to start something after college, not ready after Google, and also not ready after my MBA. I always aspired to be an entrepreneur, but there was a gap between that aspiration and my readiness for it. I could have forced it, by throwing myself at it, but I always knew I still had to nurture that readiness. Things are different today. I am willing to take the risk, willing to take that salary cut, willing to work those extra hours, willing to not be protected by a strong employer brand anymore, willing to have to watch my expenses, willing to fully throw myself behind something I believe in. That’s a level of motivation that had to be nurtured. At Google, as exciting as my work was, it was always a small contribution to the whole. In the context of the entire company, my work was meaningful, but insignificant. This nurtured my desire to be in work environments where my contributions would matter ore. At Ofo, I would sometimes work until 5am, writing contracts for global deals we were doing. I was doing this enthusiastically, but I would still go to bed and wonder what it would be like to put all that effort into my own idea one day, not someone else’s idea. If it wasn't for those experiences then, I wouldn't have that readiness now. I think there is a third type of readiness for people who are considering entrepreneurship. It’s financial readiness. I think at different stages in your career, you will be optimizing for different things. The first few years of my career I was optimizing for safety. I wanted to work for a big brand and build up my reputation. I wanted that organizational support and mentorship. That came with a safe salary, and little equity. But it allowed me to build up savings that would later help me finance my MBA. Today, I am optimizing for different things. I want to maximize my upside and gain experience building something from 0 to 1. And once there, I want to grow a brand from 1 to 100 so that it, too, can give organizational support and mentorship to others. And for that, I know that I will have to live with a 60%+ pay-cut, or with many months or even years without accumulating savings. But that’s fine, because today I am finally ready to exchange these conditions for the upside – the financial upside, and the experiential one. By the way, you might have noticed that I didn’t use the word “start-up” in my article. To be honest, I don’t like that word. It’s overused, and to me, the notion of “starting something up” doesn’t embody the longevity I hope to instill into any of the business ventures I aspire to found. Some sample names of successful entrepreneurs who weren't college dropouts. Today, 8 out of 20 most valuable tech companies in the world come from #China. In the context of China, it would have been unimaginable in 2005 that the most valuable companies would be companies not owned by the government. Yet here we are, with 8 of them among the global tech elite. Just five years ago, China was represented with only three companies. In 2013, this list had three other countries in the mix (Japan, Russia, Korea). Today, however, the list only has American and Chinese companies. An interesting development considering that in other industries, the largest players are rather distributed globally (think of car manufacturers, pharma, energy, and retail). The same cannot be said for the rapidly-growing tech industry. In a connected world where a tech company can achieve hyperscale in 3-5 years, having a huge homogeneous home market with deep pockets as the install base is proving to be a huge advantage. Aside from the USA-China duality, the other major noticeable aspect of the list of the world’s largest tech giants is that it clearly shows a divide between top-tier companies and those further down the ladder. In fact, there is not a single company with a valuation between $200 billion and $450 billion. The top seven companies on the list account for 81% of the total value of the list, and they are all above the $450B mark. These include behemoths like Apple, Alphabet, Amazon and Microsoft, but also two big Chinese companies as well (Tencent, Alibaba). Meanwhile, the bottom 14 companies muster up just 19% of the value – a fact that underlines how hard it is to vault a tech company into the upper echelon of the market. And it looks more and more likely the next battleground in the coming decade will be between the tech giants from US and China. We live in interesting times... so, in all seriousness, what’s your China strategy? No matter if you are a business an individual, you just cannot ignore what’s going on in China. Sharing some observations on the differences of eCommerce between the US and China. In the US, people mostly buy from Amazon and eBay. And when they do, they go directly to those websites with their intent to purchase a specific product (or find something within a specific product category). People generally don’t go to Amazon to just explore the latest offers or open the eBay app because they have 5 minutes to kill. Little Red Book aka Xiao Hong Shu (30M monthly actives and a valuation of $3B) for example is an app full of influencers that write reviews or share mini-articles about their experiences in the realm of beauty, fashion, food, travel, and entertainment. Users, mostly female and affluent, look for inspiration. It’s a bit of a social network mixed with an eCommerce platform. Call it social commerce. Pinduoduo is another example of a Chinese company that has perfected this social commerce approach. They have 157M+ monthly active users and 10x’ed their valuation within one year from $1.5B to $15B. Sort of Facebook-Groupon mashup, people spot deals and then recruit their friends to buy at a discount. It also comes with gaming elements, doling out coupons and rewards. Their users are mostly in lower-tiered cities, especially elders, who find the other major eCommerce apps difficult to use. They filed for a $1B US IPO last week. In trying to understand the eCommerce landscape here in China, I couldn’t help buy notice a major difference: in the US, social and eCommerce are two different worlds. Very few companies have managed to bring these two things together (Pinterest and Instagram are trying by facilitating commerce on their social platforms, but with mixed success). In China however there is a bunch of companies who have successfully built experiences that bring these two worlds together. Personally, I believe there is a big opportunity in this space, and think that some of these business model innovations and new eCommerce experiences will soon find their way into international markets. Thriving at the intersection of "it's hard, but it feels so damn right"
A simple thought on how to think about whether you are at the right spot in your life. I was on the phone with my friend Matt the other day who is in LA hustling on his start-up. He was sharing how hard things are, that he barely gets to be social, and that it feels like a massive roller coaster day in and out – yet also how right it feels what he was doing. I was fully able to empathize with him because my situation wasn’t any different. Living a life between continents and in unknown cultures is really hard. It comes with a lot of loneliness, setbacks, unfamiliarity and self-doubt. Yet in spite of all this hardship, it still feels 100% right. Both Matt and my situation made me thing about this intersection of doing something that is really hard, but where you are able to bear that hardship because it feels so damn right. It’s this feeling of not wanting to be in any other place, not wanting to do anything else. It’s almost as if that hardship wasn’t taking away your energy, but it was fueling you. Being at that intersection is like the moment when your sail and the wind are aligned: you gain speed, you move ahead, you become unstoppable, nothing seems impossible, everything starts to make sense. Are you at that intersection? What would it take to get there for you? In my opinion, you don't get to that intersection by going towards what is hard. Just throwing yourself at hard things doesn't instantly make things feel right. But you ought to go towards what feels right. Often times, the "what feels right" is what is hard. It's those things that we normally shy away from because of all sorts of blockers we have (risk-averseness, fear of failure, judgement of other people, etc). Yet once you defy those blockers and walk towards the "what feels right" you might find yourself at that intersection sooner before you know it. Up until the age of 20, I had never lived outside of Germany where I was born. I had visited many countries, but had never lived in them. So during all the years growing up in Germany, my life was often about trying to “fit in.” Assimilation was my agenda, denouncing my differences was my goal. I was never in full denial of my Iranian identity, yet I certainly sought to find acceptance by trying to be more like the people around me. A turning point for me then was the first time I got to go abroad. In 2008 I went to Buenos Aires to study, and being there had a profound impact on me. The people I met found it fascinating that I was a Spanish-speaking, Persian-looking, German citizen. People wanted to be friends with me. During my time in Argentina, I realized for the first time in my life that being different wasn’t a bad thing, it was a great thing. That’s when I decided to not be in denial of my differences anymore, but to invest in being different. I realized that the more different I was, the more unique I was becoming. This, was a paradigm shift in my thinking. And it was the trigger that led me to make many of my life decisions. That’s why I invested in languages, traveled as much and far as I could, restlessly moved around the world, and continuously challenged myself to learn new skills (my ritual question here “when was the last time you did something new for the first time?” Don’t have an answer to it? Then it’s time to pick up something new). I made the world my playground, and pursued things that would add richness to my character. I am sharing this, hoping to encourage others – especially younger people – to not only fully own the parts of their identities that are different, but to also invest in all the parts of their lives that will allow them to be even more different. After all, why fit in if you can stand out? Why be one of many if you could be unique? Why follow others if you can be a trailblazer? Ever since I embarked on my journey to China, I got to spend a lot of time in between Beijing and Shanghai. With about ~24M citizens, each of these cities is about the size of Australia. Yet the cities couldn’t be more different from another in their character and vibe. The following is my take on Beijing and Shanghai based on experiences I have had this past year. Beijing – think of it as the ultimate Chinese city. With all government offices located there, it is the seat of power and politics. It’s also all about culture and history: the city has an extremely long and glorious history with Tiananmen Square, the Forbidden City, Temple of Heaven, The Great Wall and The Summer Palace. Beijing people live and love the history of their ancient city and are kind of set in their ways and lifestyles. They have almost an imperial love and facility with bureaucracy, politics and process. Because of that, Beijing people are people of the past and it’s “old money” that rules – also, it’s a city of relationships more than anything. With the best universities located in Beijing (think of Stanford, Harvard, etc. being in the same city), there is a massive output of talent and with that, entrepreneurship and start-ups. Shanghai – the ultimate cosmopolitan city. In a culture which stresses thousand years of continuous history, Shanghai is an aberration among Chinese cities. Development occurred almost entirely within the past 150 years from fishing village to a global modern city. Shanghai people love modernity and are proud of their rapid ascent. They adopt and embrace the change, thus making the city a hotbed for radical ideas, fashion, and money. It’s a financial hub with ultra modern state of the art infrastructure, excellent public transportation system, a stunning skyline and endless subway lines. Consequently, Shanghai is the city of “new money” and people are rather bottom-line-oriented. In my experience, foreigners who go to Beijing are very serious about China (language, culture, experience), whereas the foreigners that go to Shanghai are more cosmopolitan. It’s reflected somehow in the distribution of embassies (mostly in Beijing) and MNCs (mostly in Shanghai). Further, a major difference is the layout of the cities: Beijing is landlocked, while Shanghai is adjacent to the ocean. And while Beijing is dominated by highways cutting through it (there are six “ring roads” that circle around Beijing and people refer to those roads when they share their address “I live close to 3rd ring road North East exit..”), Shanghai’s highways are elevated and thus allow for easier mobility throughout the city. For me personally, my time in between both cities has taught me how your surroundings can bring out different sides of you. I feel different when I am in Shanghai compared to when I am in Beijing – measured in energy levels, creativity, lebenslust. Learning Chinese is by far the hardest thing I have ever done. There is no alternative to rote learning – spending hours and hours writing the same character over and over again. For an English speaker learning French, there are prompts. “Police” becomes ‘police,’ and ‘garden’ becomes ‘jardin.’ But a foreigner has no such guide into Chinese. Police is ‘jingcha’ and garden becomes ‘huayuan.’ And for every word, you have to learn various components: character, tone, sound and grammar (or lack thereof). CHARACTERS – Chinese characters are core to the language and provide a rich link with the past. The characters represent complete ideas rather than just sounds, like letters. Pronunciation of Chinese words might change over the centuries, but the written character remains unchanged. The character for ‘fragrant’ may be pronounced ‘xiang,’ ‘heung,’ or ‘hong,’ but the character always means ‘fragrant.’ Characters keep history alive as they remain recognizable across thousands of years. TONES – The pitch of each word affects its meaning. ‘Mai’ for instance, with a falling tone, means ‘to sell.’ But ‘mai’ with first a low falling and then a rising tone means precisely the opposite, ‘to buy.’ Even Chinese people find it confusing. At the Shanghai Stock Exchange brokers use slang to make sure to not mix up buy and sell words. There are four tones in Mandarin (and nine in Cantonese), so imagine how much difficulty this adds. GRAMMAR – The link in China between daily language and the past is strengthened further by a lack of tenses. “Mao Zedong is a good leader” and “Mao Zedong was a good leader” are not distinguished. Things that in our language are extinct, remain alive in Chinese. Imagine the confusion when you want to order boiled water (past tense; to make sure it’s clean), but then get boiling water (because it’s hard to express the past tense). Without the separation in language or thought between what ‘was’ and what ‘is,’ China’s past seems to merge into its present. Chinese language is extremely sophisticated, representative of its rich history and profoundly tied to Chinese identity. Being part of that exclusive five-thousand-year-old club gives the Chinese a sense of separateness and self-esteem. It can occasionally develop into a sense of superiority, but no more than anywhere else. The language provides a permanent rigid connection to a past, while the society is changing and adapting at a pace never seen before.